Sprigeo is pleased to have been selected by the Oregon State Police as the primary vendor for SafeOregon, a new school safety tip line program available to all public K-12 schools in Oregon at no cost to use. SafeOregon requires schools to complete a sign-up process in order for students to use. 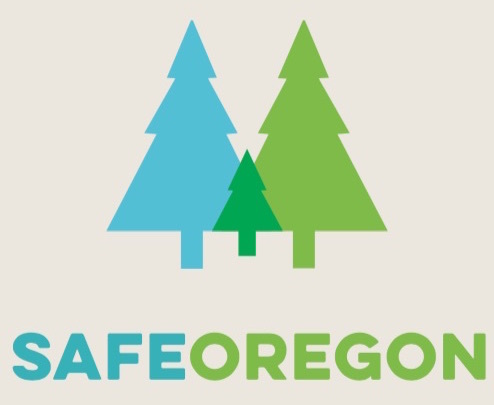 SafeOregon is a way for students, staff or other members of the public to anonymously report and share confidential information of a threat or a potential threat to student safety. Trained staff are available 24-hours-a- day, 365-days-a-year reached through a phone call, text message, mobile application or website. The main goal of SafeOregon is to intervene at the earliest possible point in the life of a young person who is struggling, helping them when they need it, before the situation turns into a tragedy. SafeOregon is designed to encourage Oregon students to share and respond to anything that threatens their safety or the safety of others, anything that makes a student feel unsafe or if a student knows someone who feels unsafe. Here are a few examples: safety threats, violence, threats of violence, fights, drugs, alcohol, weapons, bullying or friends that talk about hurting themselves, harassment, intimidation, cyber bullying, or self-harm. Tips can be submitted 24/7/365 through the SafeOregon.com web portal, by e-mail to tip@safeoregon.com, through the SafeOregon mobile application (available for android or iOS device), or by calling or texting 844- 472-3367. Tips are promptly analyzed and routed for the most appropriate follow up and urgency. This may be to school officials, law enforcement, community mental health programs or other appropriate local or state agencies. Tip Line staff make sure follow-up is noted and recorded. public safety policy advisors, and legislators. The task force is chaired by Clackamas County Sheriff Craig Roberts and Dr. David Novotney Willamette Education Service District. For more information, visit www.safeoregon.com. The resource page has more information for students, parents and for schools to sign-up. Students are encouraged to talk to their school administration about making SafeOregon available in their school. It is a violation of ORS165.570 to improperly use the SafeOregon system. Liberty Middle School still recovering after violence. Over the past few months, Sprigeo CEO Joe Bruzzese worked with Patricia Cartes and Christopher Kark at the Twitter International Office of Safety to create two guides. The first guide reads like a short story directed toward teens, identifying a few of Twitter’s key features with tips for reporting, should the need occur. You can find, download and share the Teen Guide to Twitter here. The second guide, a longer, more detailed look at the magic of Twitter was written for school administrators, staff and anyone working with teens that wants (or needs) to take their Twitter knowledge to a level beyond, “Yes, I know what Twitter is, but I’m not sure about this whole hashtag thing.” Feel free to download and share the Twitter Guide for Administrators with only those people that are wanting and accepting of this amazing resource. Find the Administrator’s Guide here. 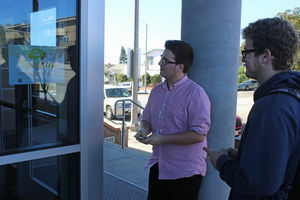 When students at Redondo Union High School want to report bullying or other unsafe activities on campus they can do so quickly, and anonymously, thanks to an online system that’s as close as their laptop or smartphone. The high school started using the system, called Sprigeo, in the fall of 2013 when administrators wanted to find something to help with anti-bullying efforts as well as a project to collaborate with the Redondo Beach Police Department for Red Ribbon Week, according to RUHS assistant principal Anthony Bridi. The contract was recently renewed again with the RBPD paying about $800 for the system. With over 800 participants from states around the U.S. And countries around the world, this year’s conference was incredible. Dr. Dan Olweus, founder of the Olweus Bullying Prevention Program was present to receive his lifetime achievement award as well as participating in a number of panel discussions. 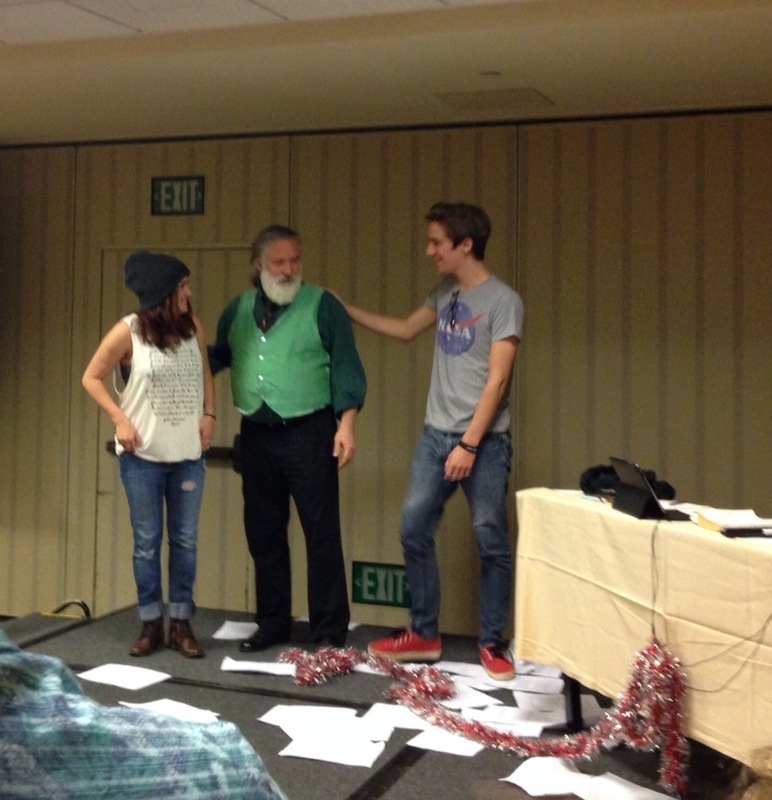 This year the conference added a new session format in addition to the traditional 75 minute presentations. In the spirit of TED Talks, a handful of presenters were asked to deliver a concise version of their regular presentation within a 20-minute time limit. Attendees at the TED sessions were appreciative of the energy that the presenters brought to each of the shorter sessions. The conference typically attracts school site leaders as well as district administrators and researchers from around the globe. San Diego provided an abundance of resources as the host city including sunshine that many of our midwest and east coast attendees appreciated. Next year’s conference will be held in Denver, Colorado November 7-9, 2015. Visit the International Bullying Prevention Association website for more information. Sprigeo was one of the conference sponsors that helped to bring a cohort of youth presenters out from West Virginia. 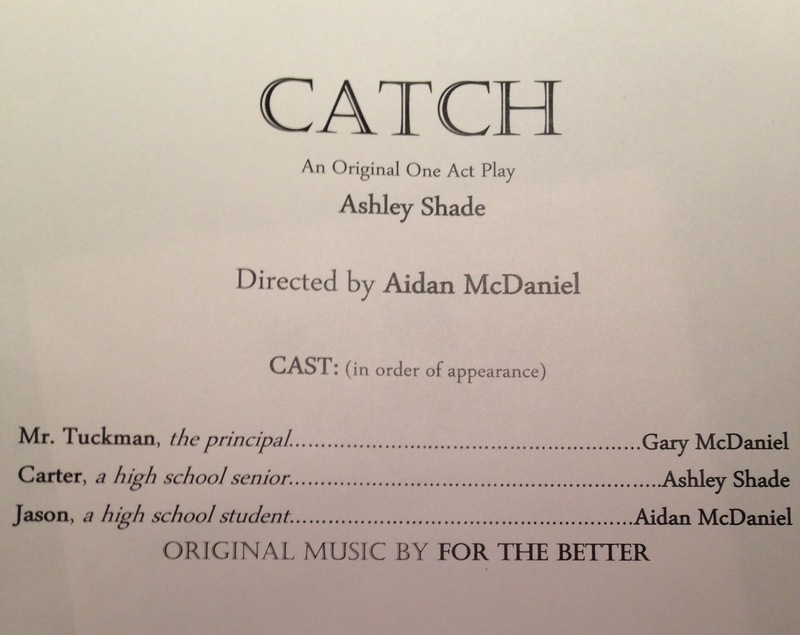 Ashley Shade, Aidan McDaniel and his father Gary McDaniel presented an original play (“Catch”), focused on the importance of building strong relationships between students and administration in the school setting. This original one act play addressing bullying and school safety was premiered and brought the audience to their feet for a standing ovation. Powerful. 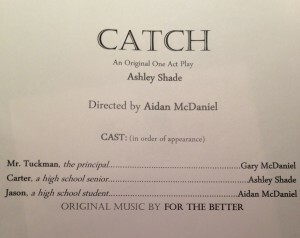 Thank you Ashley, Aidan and Gary! If you attended the conference and would like to download the session handouts please click here to find any and all of the session notes. An online reporting system for bullying and unsafe school conditions has allowed students, staff and the public to report 92 incidents in Morgan County schools since 2012, when the system was put in place. Anyone in the community students, teachers, other school staff, volunteers, parents or community members can use it to report incidents or situations involving school safety. School safety concerns could include bullying, harassment, intimidation, fighting, drugs, alcohol, weapons, cyber-bullying or kids talking about hurting themselves. Morgan County Schools Social Worker Gary McDaniel said the system is making an impact in local public schools. McDaniel noted that students that are bullying or getting into fights are in the minority. One reason why the online reporting system, called Sprigeo, works is that offenders realize they’re being watched, said McDaniel. Those who are bullying will be reported for their behavior even if it’s not seen by a teacher, he said. That changes the culture of the school, McDaniel said. The system is also truly anonymous. Anyone can give their personal information for follow-up contact if they want to. Most kids do, McDaniel said. The incident reporting form can be accessed at the Sprigeo website from any computer with Internet access. A link for the Sprigeo website is also located on the Morgan County Schools website under employee resources. The system also has an app for smartphones. A drop-down menu asks users to report the state, specific school, type of incident, when and where it’s occurring such as at school, on the bus or on social media-and how many times it’s happened. Users can also indicate who the target and the offender are and write a narrative of what took place. The report goes directly to an administrator or counselor at the school involved. It also goes to McDaniel and Technology Director Tom Shade so officials can make sure someone is following up on the incident. McDaniel sees what actions were taken by the administrator or counselor, which are checked off in the incident report. There can be multiple actions, ranging from a call to police to expulsion or in-school counseling and disciplinary actions. McDaniel has a running record of all incidents that have been reported through the system and their resolution or status. The online reporting system lets administrators and counselors know something needs attention. “It’s hard to fix a problem that you don’t know exists,” he said. The Sprigeo website also offers resources for parents and kids such as parent education, interviews with experts and the Heroes project that highlights students around the country and their bullying prevention projects. McDaniel and his son Aidan McDaniel were featured on one of Sprigeo’s earliest “Heroes” interview segments. 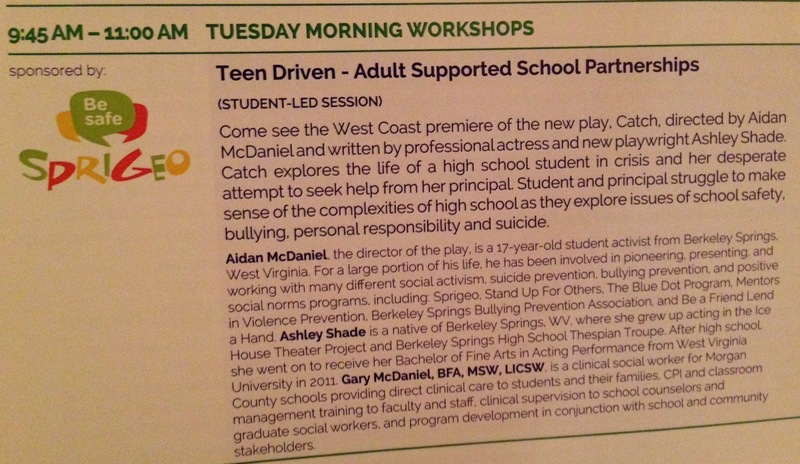 Bullying and violence prevention programs in Morgan County schools include the Too Good For Drugs and Too Good For Violence programs, D.A.R.E., Mentors in Violence Prevention and the Berkeley Springs High School bullying prevention club, McDaniel said. A middle school student bullying prevention council is being formed on Unity Day on Wednesday, October 22 when county students, staff and community members are wearing orange to take a stand against bullying. Each school and its counselor are tasked with offering programming on character building and conflict resolution that’s age-appropriate, McDaniel said. They can include violence prevention, Internet safety and friendship and social and emotional skills. At the elementary level, those efforts may include talking about being a good friend and taking turns. 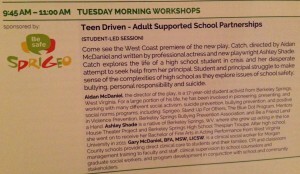 At the high school level, programs focus on violence and dating violence prevention programs. Basic skills, like how to include others and resolve conflicts, picking up on others’ non-verbal cues and knowing when being playful and teasing starts to hurt someone’s feelings, can help prevent bullying. McDaniel noted that human beings do play with others. “If I can read your cues, I’ll know better when to back off and where to draw the line between play and harm so it doesn’t become harassment or threatening,” he said. The “Be a Friend, Lend a Hand” program asks kids what they think about bullying and harassment and what they do when they see it. The results show students that the majority of their peers are against bullying, which encourages kids to stand up to it. Links to many bullying prevention resources and student-made bullying prevention videos can be found on McDaniel’s Social Work Department page on the Morgan County Schools website.